Want to Join a Polyculture Experiment? Dr. Naomi van der Velden tells us about mixing crop plants together in a single space - polycultures - and about the related GROW Experiment 2018, which you can join. How would you like to get involved in the biggest ever permaculture citizen science experiment? This will involve growers all over Europe learning and working together, or a simple, single but important task – finding a three sisters combination that suits Europe. This polycultures vs monocultures experiment is happening soon – and you can join in, as you’ll see below. • Enhance ecosystems, biodiversity, nutrient cycling, soil and water conservation and carbon sequestration. • A mix of plants means you don’t offer pests a “feast” of a favourite food or host plant. • Polycultures can allow more efficient use of space (by stacking crops vertically), of time (land can be productive for longer with several crops), and by giving a greater diversity of food so lessening impacts of failure of any one crop. • Greater plant diversity supports greater insect diversity and more diverse food webs; soils can be covered for longer; evaporation can be lower; plants with different nutrient requirements can complement nutrient use or, in the case of legumes, add nutrients to the soil. It all sounds good, but…. It all sounds good, but there are lots of “can do” and “might be” in there and not so many “will do” and “always”. Whether or not it is worth growing in polycultures will depend a lot on the crops you choose. Your climate, soils, how adept you are at recognising crop seedlings from weed seedlings, and many other factors can also influence success. Another key aspect to consider is that much of the scientific research focuses on large farm-scales where the use of machinery, fertilisers, pesticides and more might be routine. Most studies we found have looked at two crops but few have looked at more than that. Two crop research is most often into “row intercropping” where alternate rows (or strips of several rows) of each crop are planted across a field. There is usually a “main” crop (e.g. a cereal like wheat) and a “second” crop (e.g. a legume like field beans) that is grown to enhance the conditions for that main crop rather than be a true harvest itself. So, if the research is in such different conditions to how I grow, how do I know what will work for me? Lots of people grow polycultures. Compared to a large farm field of a single crop, an allotment plot or kitchen garden is a polyculture! Many growers have experimented with companion planting or even tried mixing together lots of seeds and scattering them on a vegetable bed. There’s a lot of knowledge and experience out there. Imagine if those of us who grow at the smaller scale could join together to share our knowledge and investigate practices. Well, through citizen science, we can! One of the aims of the GROW Observatory is to gain a better understanding of if, how, and where regenerative practices work at the smaller scale. Regenerative practices are those approaches that can help improve, or ‘regenerate’, soils and ecosystems while also growing food plants. Through conversations with people who have done courses with us, and through reviewing scientific literature and key information, we know that companion planting and growing polycultures is an area where there is a lot of interest but also a lot of conflicting information and uncertainty. We want to address this with an experiment in which you can take part - an experiment that will compare three crops (green beans, spinach and radish) grown together in a polyculture with those same three crops grown separately as monocultures. Join us and find answers for your own growing space, while contributing to building up a wider understanding of this key practice at the scales of our growing. • Join the free GROW Citizen Science: Living Soils, Growing Food online course to learn more about regenerative practices and how to experiment in, and better understand, your own growing space. Some of the first measurements needed for the experiment will also be introduced on this course, so you can get a head start (HERE). • Join the GROW Polyculture v. Monoculture Experiment directly. We’ll give you all the information you need to discover which, if either, works better for you, and to compare your results with those of other participants (HERE). Whichever way you join, we’ll give you on-going support over summer 2018 and help you to understand and use your results. All experimenters in Europe will be eligible to receive free kits for testing soil nitrogen (N), phosphorus (P), Potassium (K) and pH. Citizen Science: Living Soils, Growing Food starts 16th April 2018 - click HERE to join. Find out more and register for the experiment HERE. It opens on the 1st May 2018 and you can get planting any time from then until about the end of June (depending on the growing season in your location). Sounds good, what do I need to be a part of the experiment? For the experiment, you will ideally need about a 1 metre x 5 metre strip (approx 3’ by 16’) or a 2 metre by 3 metre block (7’ by 10’). If you do not have your own garden or growing site, we encourage you to identify a plot of land in which you can carry out the activities. This could be your local community garden or farm, or maybe you have a friend or neighbour with a garden who is interested in learning more about soil and food growing with you. • Climbing green beans “cobra” variety - Phaseolus vulgaris "cobra"
• Spinach “matador” variety - Spinacia oleacea "matador"
• Radish “cherry belle” variety - Raphanus sativus "cherry belle"
You usually get a lot more seeds in a packet than you will need, so there will be plenty to share with your friends and family, or in a local seed swap event if you have one. Perhaps other people you know would like to try out the experiment too? You will also need scales to weigh your harvests, eighteen 2-metre garden canes for your beans to grow up and other common gardening equipment to prepare your plots and plant the seeds. The GROW Observatory has received funding from the European Union's Horizon 2020 research and innovation programme under grant agreement No 690199. 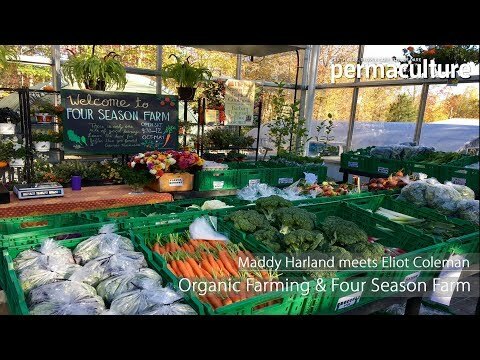 Are polycultures the future of food growing? This experiment seems slightly odd. Radish harvests usually end in NW London end of May/start of June in spring, Spinach usually goes to seed in mid June and climbing beans are rarely planted out before late May. Hence it seems that you are forcing the sowing of spinach and radish out of season. I planted beetroot and Cobra beans next to each other last year and both did well, although planting to ensure beetroot gets enough sun is critical. Hi @rtj1211 thanks for sharing your planting times and thoughts. These are great observations. The experiment is designed for people across Europe to participate in and one of the things we will discover is how well this mix works and whether growing in a polyculture can extend the season for crops like spinach. your observations will be essential to help discover this. Full instructions on how and where to plant each crop are provided. I'm sure you know, but radish can be harvested twice. If you leave it in, then you can eat the seed pods later in the season. They are quite tasty and you get many of them from a plant compared to one root. I hope you'll join us on this journey of discovery! Amaranth grows tall and sturdy like corn, making it a potential replacement. Also, amaranth's nutritional profile is a complete human protein and you can harvest leaves. So, amaranth, beans and squash could be an idea. Amaranth also requires much fewer inputs than corn/maize. I understand you have your experiment already planned, but the season is nigh for all of those crops. Can a City Eat Sustainably? Andy Hunt fell in love with a cast iron crepe pan made in England and tells how he uses it to cook sourdough bread in his woods. He expects many happy years with his traditional pan!